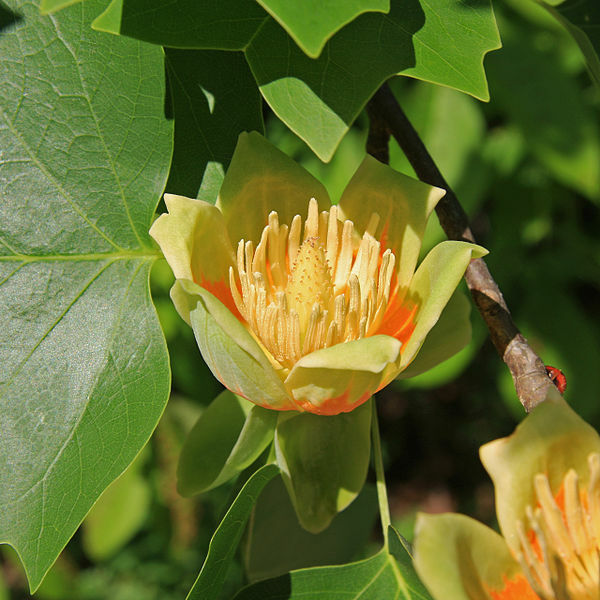 The Tulip Poplar is native to eastern North America. It can grow to more than 50 m (160 ft) in virgin cove forests of the Appalachian Mountains, often with no limbs until it reaches 25–30 m (80–100 ft) in height. April marks the start of the flowering period in our neck of the woods. Native Americans so habitually made their dugout canoes of its trunk that the early settlers west of the Appalachian Mountains called it Canoewood. The color of its wood gives it the name Whitewood. 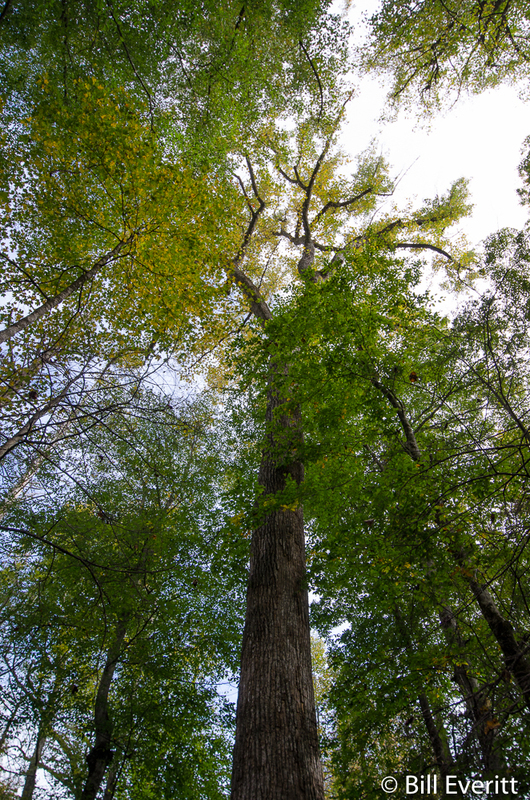 In areas near the Mississippi River it is called a poplar largely because of the fluttering habits of its leaves, in which it resembles trees of that genus. It is sometimes called “fiddle tree,” because its peculiar leaves, with their arched bases and in-cut sides, suggest the violin shape. It is recommended as a shade tree. 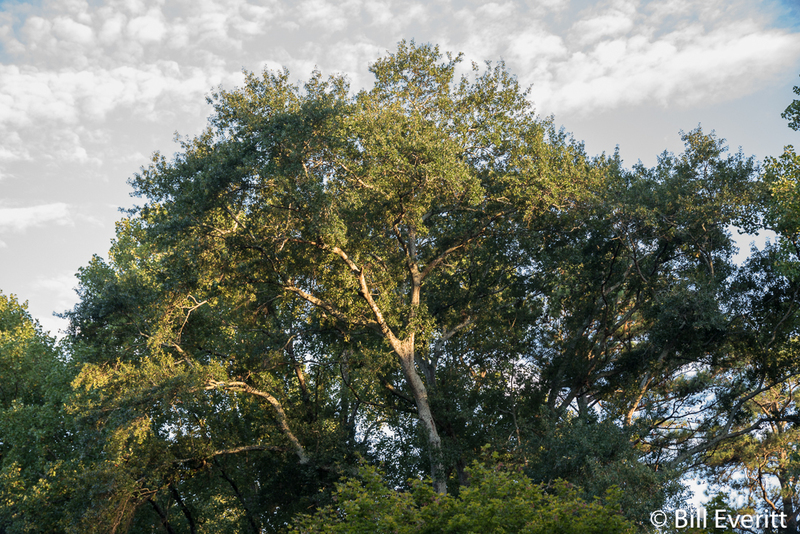 The tree’s tall and rapid growth is a function of its shade intolerance. Grown in the full sun, the species tends to grow shorter, slower, and rounder, making it adaptable to landscape planting. In forest settings, most investment is made in the trunk and lower branches are lost early as new, higher branches closer to the sun continue the growth spurt upward. A tree just 15 years old may already reach 40 ft in height with no branches within reach of humans standing on the ground. In Peachtree Park there are quite a few Tulip Poplars, some of them very old, tall and magnificent. 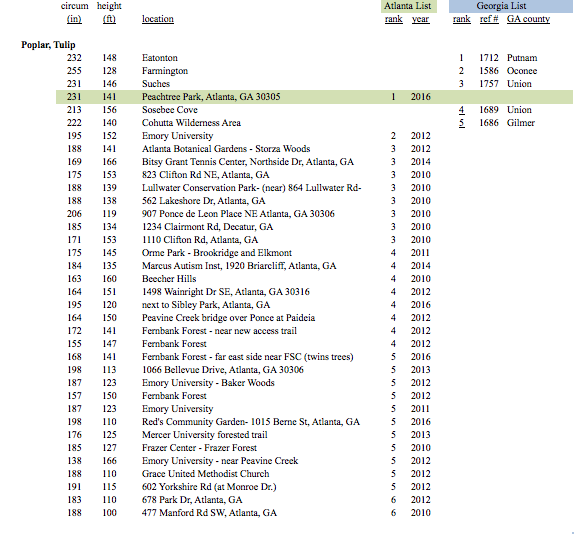 If fact, one is an Atlanta champion tree as noted in the list below, You can read more about this champion tree in our post from August 2016, A True Champion. Aromatic and bitter, the wood is light yellow to brown, and the sapwood creamy white; light, soft, brittle, close, straight-grained.